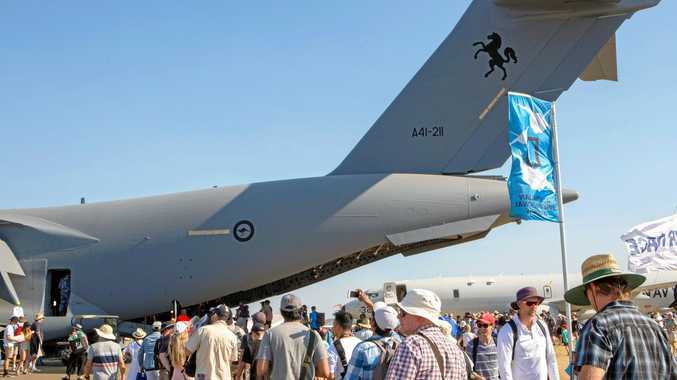 A NUMBER of significant business leads have been secured after Ipswich City Council took its largest delegation to the nation's biggest aviation show. In February the council's Office of Economic Development took several businesses and industry leaders to the Australian International Aerospace and Defence Exposition, Avalon. This year 210,000 attendees, 698 exhibitors from 25 countries and 367 industry media attended the Avalon air show. A team from Ipswich including representatives from the council, Capral Limited, Frontline Manufacturing, Military and Aviation Spares, Springfield City Group, University of Southern Queensland, Greater Springfield Chamber of Commerce and Ipswich Region Chamber of Commerce attended. Since the event the council's Office of Economic Development had 10 follow-up contacts as a direct result of connections made at Avalon. The businesses have each progressed significant business leads as a result of connections made during the mission, a council governance report notes. Almost 10 per cent of all employment in Ipswich is in the defence industry and associated supply chain, which generates more than $1.3 billion in export value for the economy. The mission's aim was to increase the profile and presence of Ipswich with national and international defence industry investors and decision makers. It was designed to connect developing Ipswich businesses with potential clients and distribute the Defence Ipswich Action Plan to increase awareness of the Ipswich opportunity. Over the three days, council staff had more than 450 contacts with defence industry stakeholders and handed out 350 hard copies of the Defence Ipswich Action Plan. Capral Limited employs more than 300 full-time staff at its Bremer manufacturing facility. The company's market manager Mark Murray said Avalon provided the business an opportunity to reconnect and meet new defence industry players. "Capral also met with a number of delegates from the United States and southeast Asia and we have already had an export quote opportunity in India," he said. Springfield City Group general manager for strategy Mary O'Dea made new contacts and is working to organise follow-up meetings. In 2017 the council established the City of Ipswich Defence Industry Advisory Committee to drive defence collaboration and delivery.